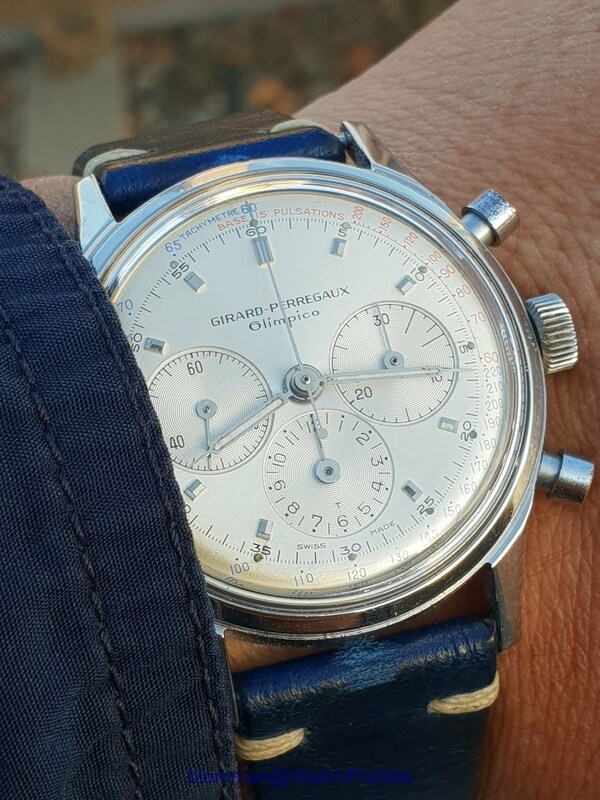 Girard Perregaux - In natural light, my new strap really picks up the blue Tachy scale on the Girard-Perregaux Olimpico! In natural light, my new strap really picks up the blue Tachy scale on the Girard-Perregaux Olimpico! Really like the way my new strap pick up the blue on the Girard-Perregaux Olimpico! And it does indeed bring out both the blue and makes the red more eye catching. Nice one, Mr. Blue. Yes, both the red and blue comes out! Bravo, dear Blomman ! Best, hs. PS: Guess, meanwhile I have to finally stop my envy, everytime you show this GP Olimpico !